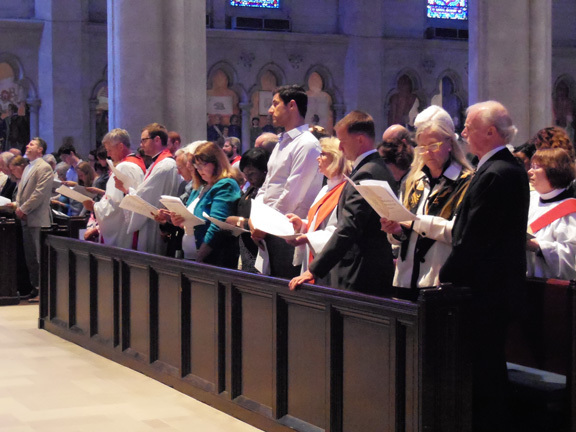 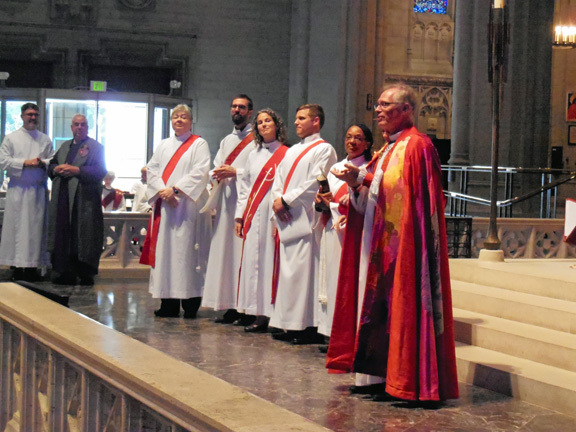 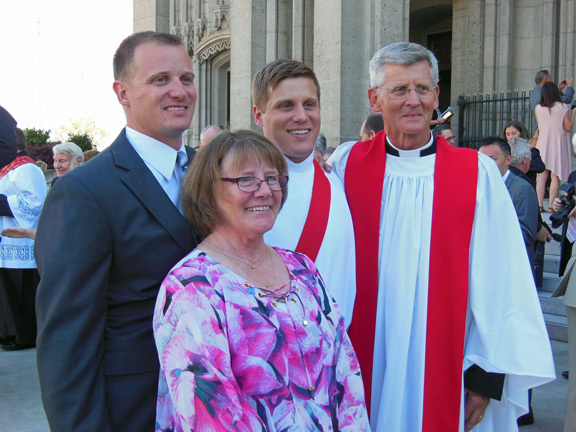 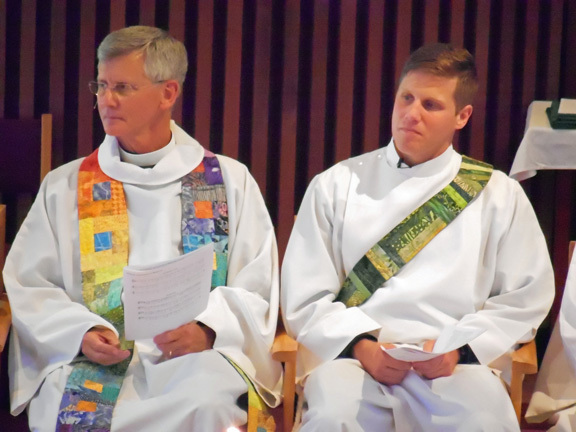 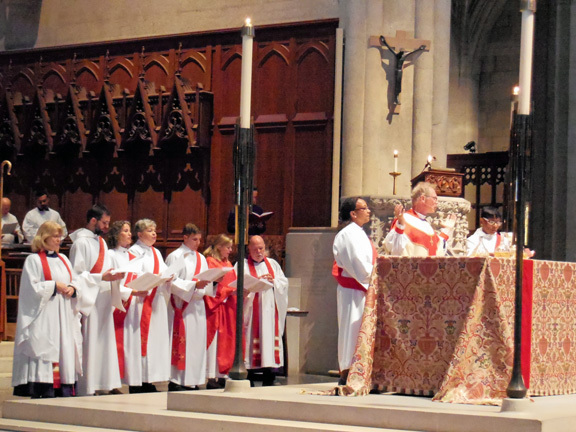 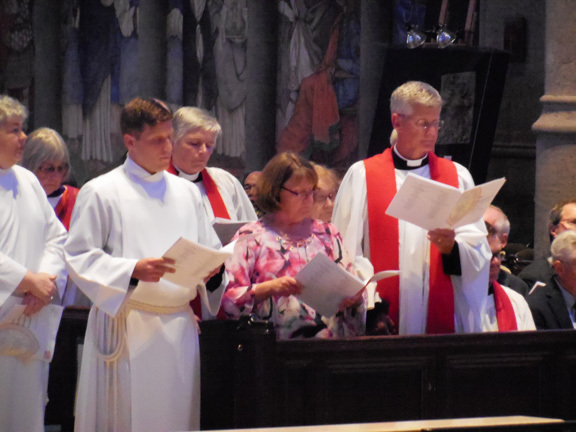 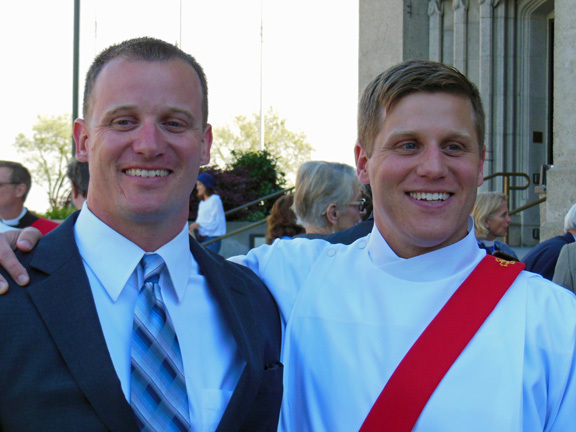 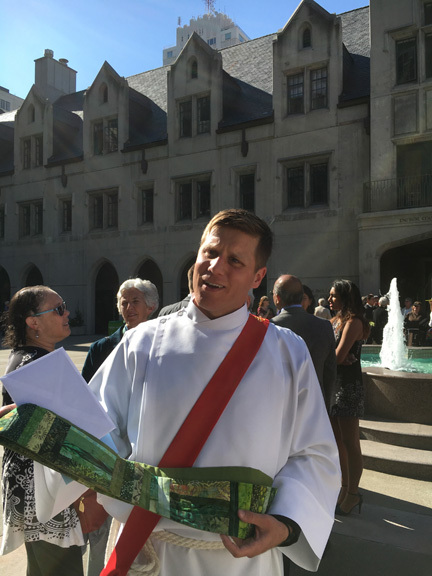 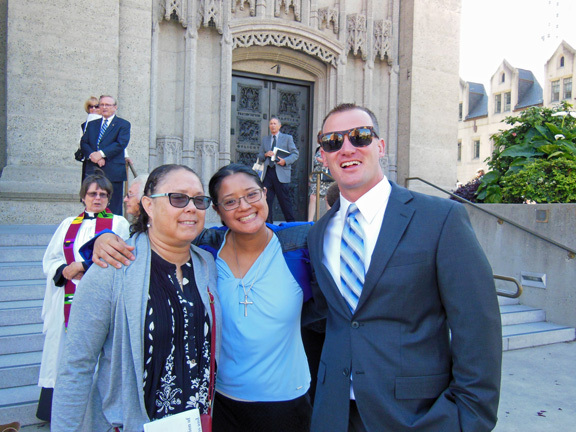 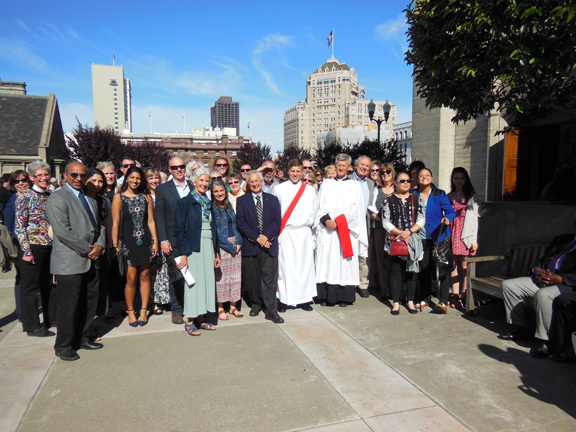 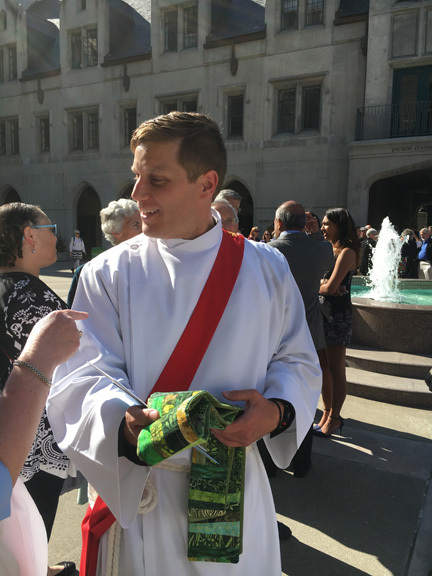 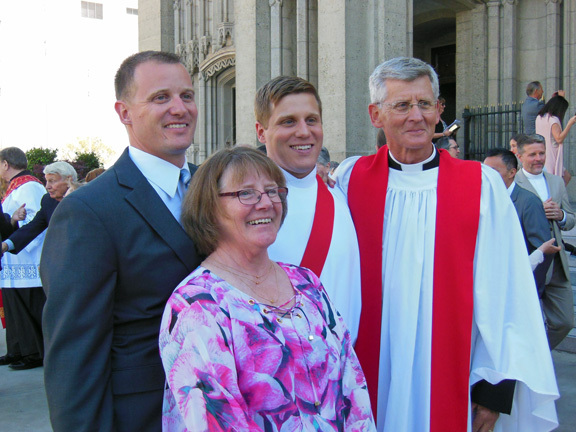 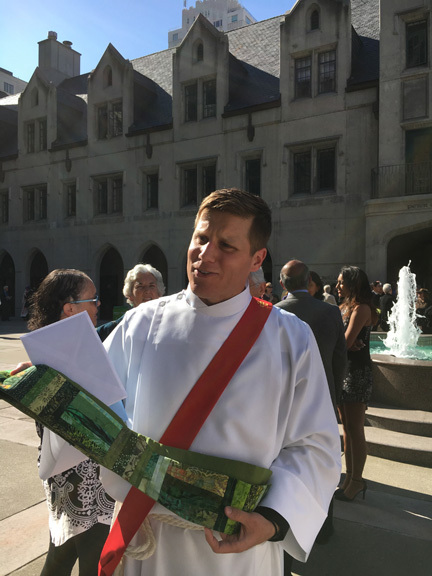 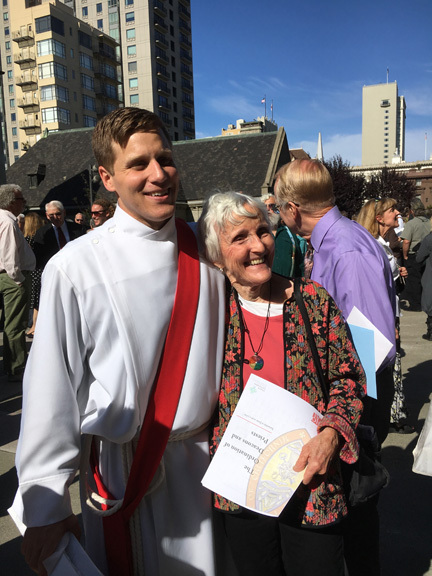 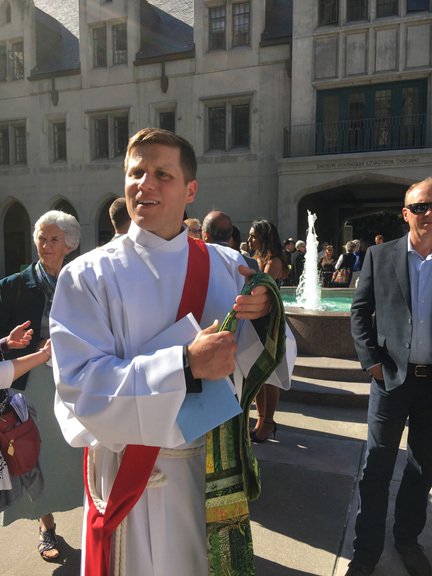 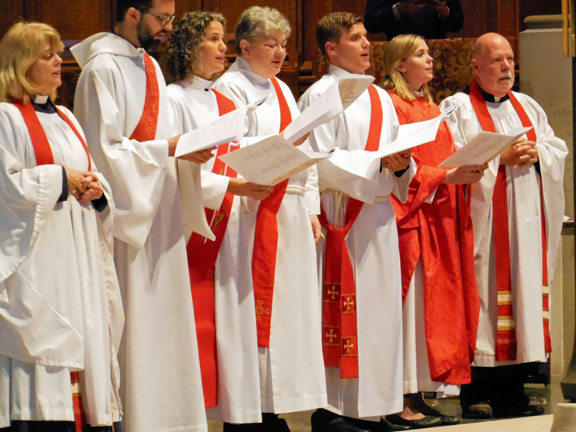 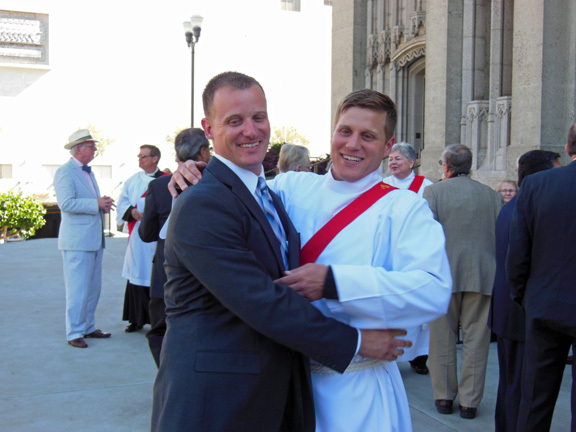 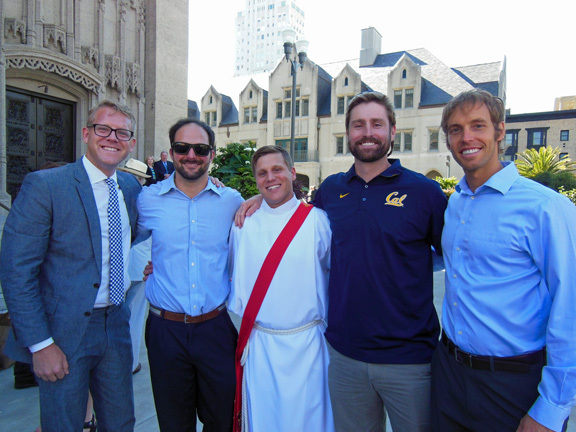 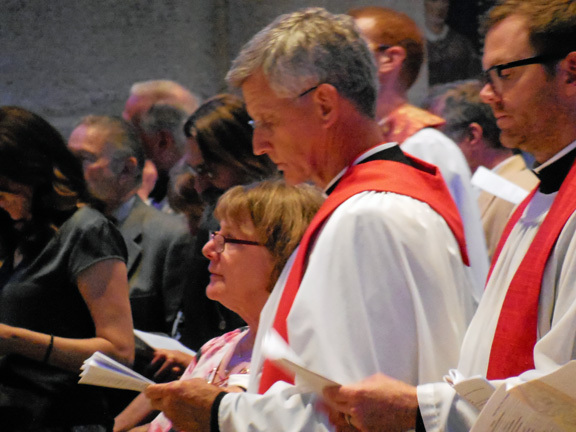 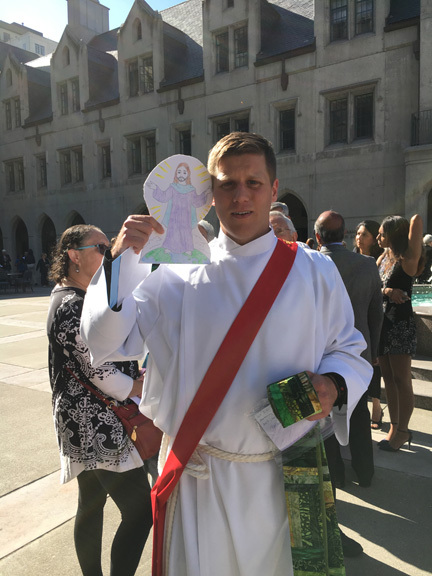 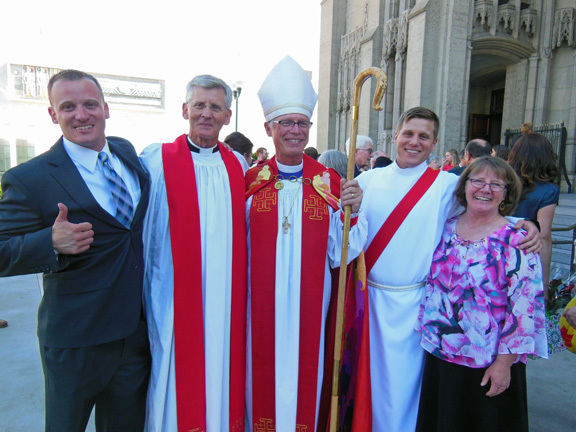 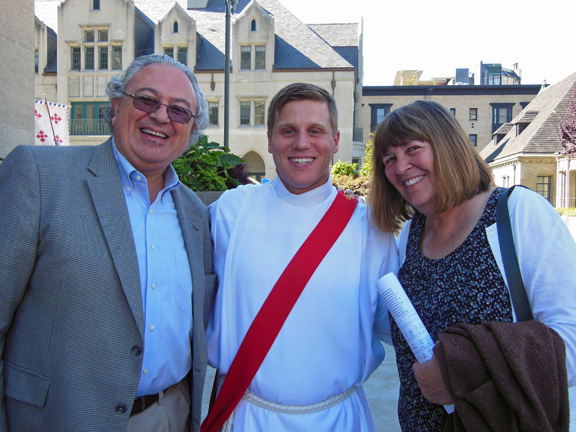 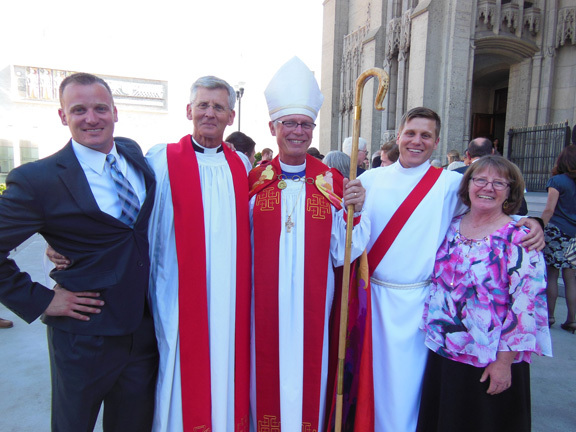 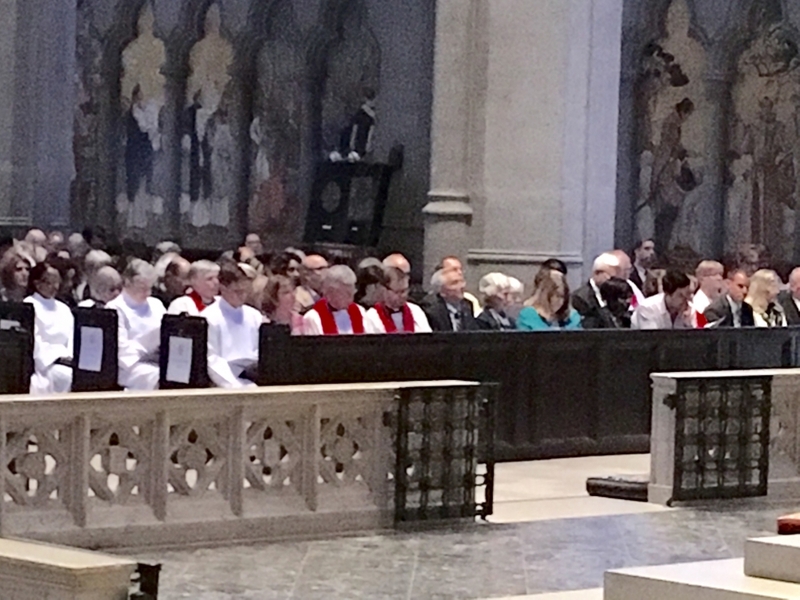 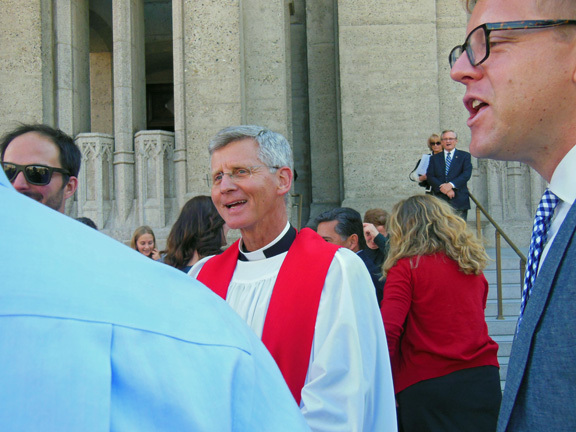 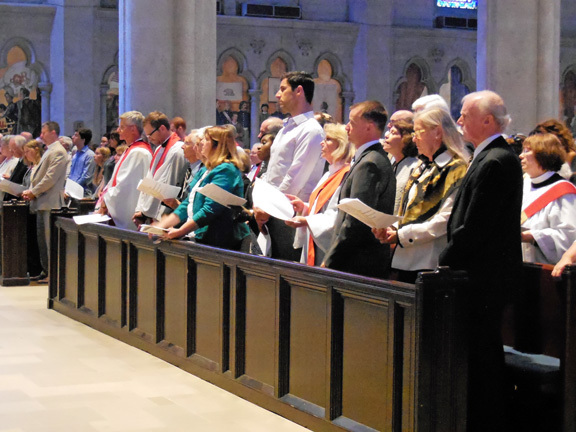 The Reverend Stephen Richard Smith, son of our Rector, the Reverend Bruce Smith and his wife Deb, was ordained to the diaconate at Grace Cathedral on Saturday, June 11, 2016. 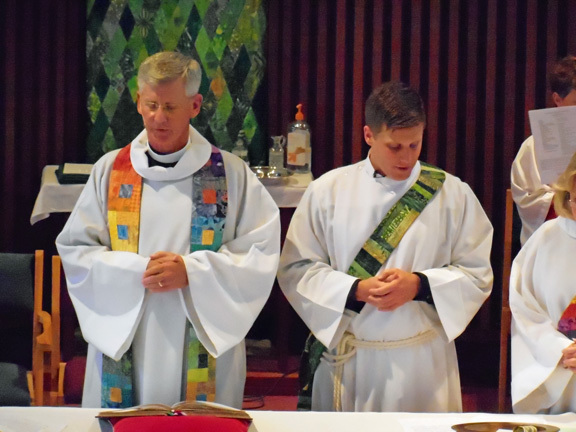 The following day, June 12, 2016, father and son served side by side at both worship services at Church of the Resurrection. 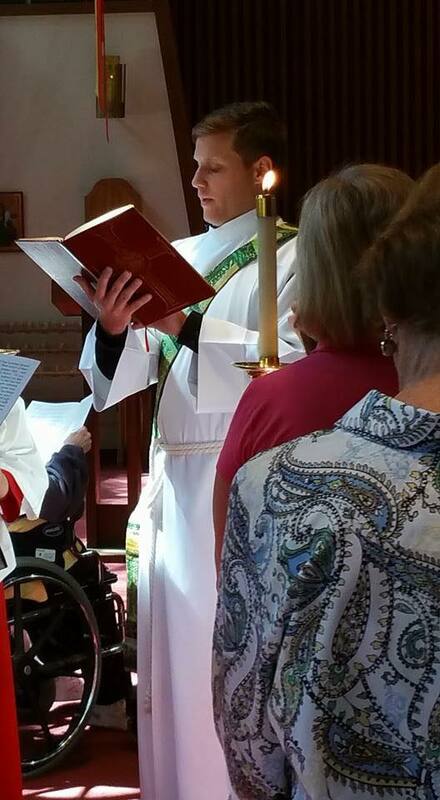 The green stole Stephen is wearing was made by Kathy Repp and matches the reredos hanging behind the altar.